It has been said that when you do something well, you don’t have to make a great fuss. At Evolve Back, we take this to heart and have turned it into a way of life. Excellence is the bedrock of our aspirations and informs the spirit of all our endeavors – be it in taking special care of our guests, managing our resorts responsibly, training our people zealously, planning our activities imaginatively or interacting with the local environment and society conscientiously. This spirit and vision of excellence embodied in some of the most beautiful properties in Asia, combine to bring you one of the most enriching travel experiences you can possibly have anywhere in the world. While we’ve always known this, it gladdens our hearts to know that our efforts to give you something unique are internationally recognized and celebrated. As deserving of these accolades as we may be, we dedicate them to you, our faithful guests, customers and readers, who helped us earn them. You are our singular inspiration in creating rich, fulfilling and personalized experiences that help return you to the roots of your own being. Brand Evolve Back and its resorts have won world acclaim under various categories in 2009 – 2017. The World Legacy Awards is a new initiative of the National Geographic Society, honouring organizations that are driving positive transformation of the tourism industry through sustainable tourism best practices. India’s premier wildlife magazine – Sanctuary Asia, and the nature tourism action charity – TOFTigers, combined to bring together the 3rd ‘Sanctuary TOFTigers Wildlife Tourism Awards – 2014‘. Their aim was to highlight and reward the very best in the nature tourism field; those who are leading the way in Indian subcontinent wilderness destinations. Each of them are pioneering new ways to support and inspire wildlife conservation, engage local communities and help in the restoration of wildlife habitat through their vision and actions. 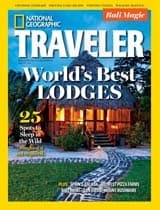 Outlook Traveller, ‘India’s No.1 Travel Magazine’, has conducted a comprehensive study of our readers to assess the very best of travel and hospitality experiences in India. The Lonely Planet Magazine India Travel Awards 2014 reveals the coutry’s favourite destinations and hotels. Orange County, Kabini,has been voted Best Indian Wildlife Resort for 2014 by the readers of Lonely Planet Magazine India, through an online poll. PURE Life Experiences is the finest Experiential Travel fair in the world. Over 500 hand-picked, experiential travel brands from across the globe, delivering experiences ranging from Space Travel to Swimming with the ‘Great Whites’, converge at Marrakech each year. Participation is by invitation only. The PURE AWARDS was constituted in 2013 to recognize the best of the best in the high-end Experiential Travel industry, celebrating those brave enough to really push boundaries and create life-enriching experiences worthy of the hefty ‘transformational’ label. TOFT is a global travel industry initiative which aims to advocate, catalyse and support a more responsible and sustainable approach to wildlife tourism in India’s Tiger Reserves. Its objective is to support specific conservation and local community projects which benefit the local villagers and the wildlife within the parks one visits as part of their stay. As part of this campaign Orange County, Kabini & Coorg has been environmentally ranked through a process called the PUG audit, and ranked as an Outstanding Practice Certification provider, in our operational practices, the highest PUG ranking. 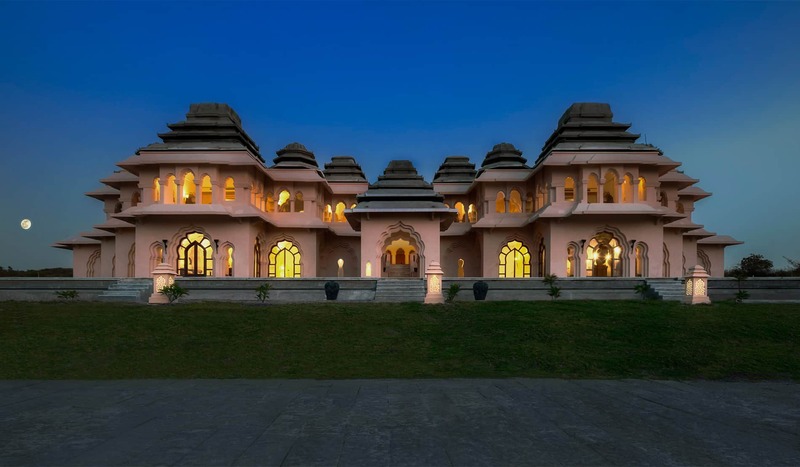 The Ministry of Tourism, Government of India, presents the National Tourism Awards each year to different sectors of the travel and tourism industry. These awards are given to state governments/union territories, classified hotels, heritage hotels, approved travel agents, tour operators and tourist transport operators, individuals and other private organizations to acknowledge their exemplary performance in their respective fields of operation and to encourage healthy competition aimed to promote tourism. World Travel Awards serves to acknowledge, reward and celebrate excellence across all sectors of the global travel and tourism industry. It is the most prestigious, comprehensive and sought after awards programme in the global travel and tourism industry. According to the Wall Street Journal, it is the “Travel industry’s equivalent to the Oscars”. 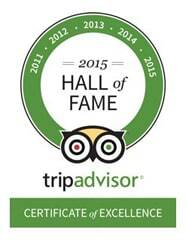 TripAdvisor is celebrating Certificate of Excellence Award’s 5-year anniversary. This unique accolade is granted only to those businesses that have won the Certificate of Excellence for five consecutive years. Orange County, Kabini & Orange County, Coorg have been inducted into the Certificate of Excellence Hall of Fame in 2015. Orange County Resorts is the global winner of the category ‘Earth Changers’ – in recognition of their cutting-edge leadership in environmentally friendly business practice and green technology. Orange County, Kabini, is the Joint Winner under the award category ‘The John Wakefield Memorial Award for Most Inspirational Eco Lodge of the Year – 2014‘. 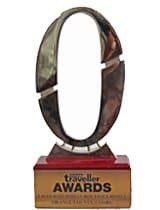 Orange County, Coorg is proud to receive the prestigious award of the ‘Favourite Indian Boutique Hotel’ by Outlook Traveller for 2014. Top 25 Hotels for Service in Asia at TripAdvisor Travellers’ Choice Awards 2016. Top 25 Hotels for Service in India at TripAdvisor Travellers’ Choice Awards 2016.